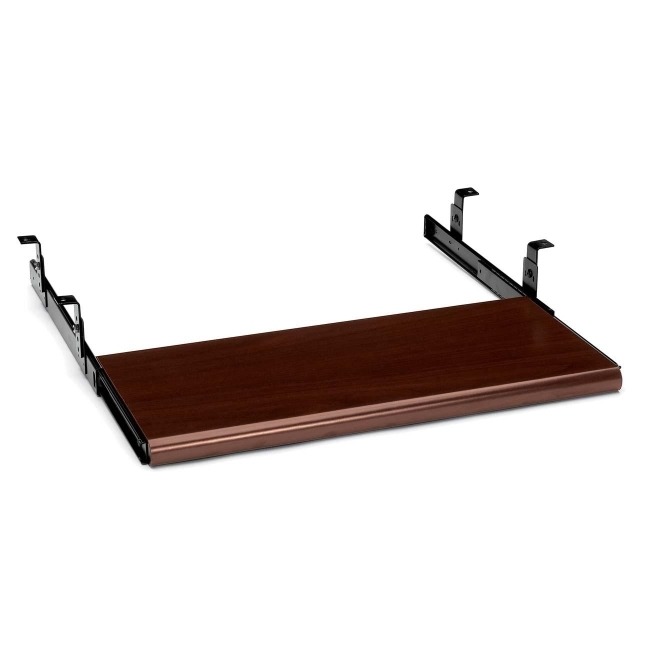 Keyboard platform is designed to fit the HON 10700, 10600, 11500, 10500 and 94000 Series deluxe modular desking. Surface can be positioned at 2", 2-1/2", 3" or 3-1/2" below bottom of work surface. Minimum clearance for mounting is 22-7/8" wide x 17" deep. Design will not fit on a 37" x 24" corner work surface. Keyboard platform features a laminate finish.